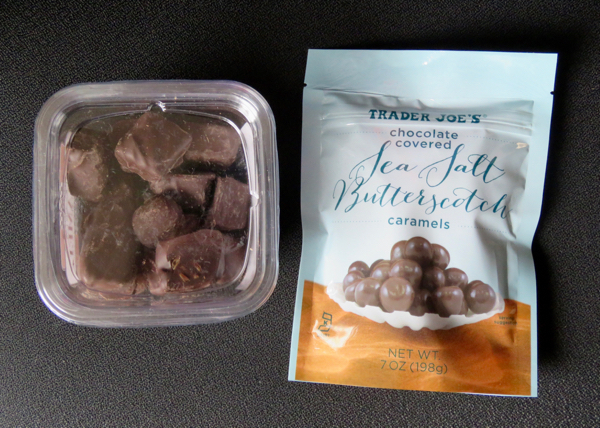 After 11+ years of sampling numerous chocolates from Trader Joe's (Monrovia, CA), it was surprising to find two more un-sampled chocolate and caramel offerings. 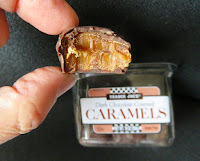 The Dark Chocolate Covered Caramels came in a clear plastic container with replaceable lid. 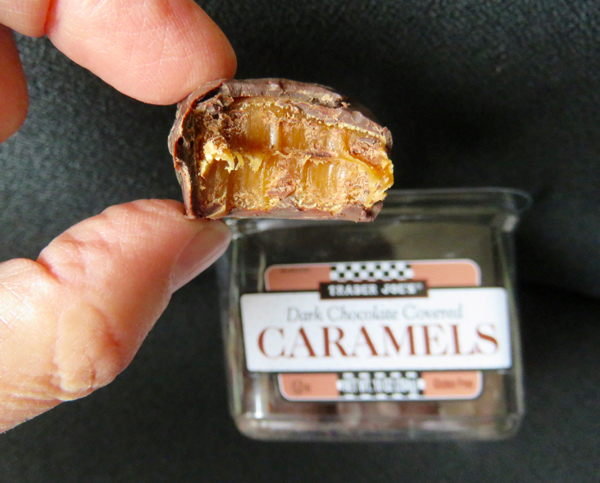 These, gluten-free, generously-sized, roughly rectangular pieces were, as promised, covered in dark chocolate and stuffed with traditional soft, sticky caramel—that hearkened back to childhood days of bags of Kraft caramels (purchased to make caramel apples, but often pre-sampled). As an adult, the corn syrup (and cream)-based caramels tasted too sweet; but those with a sweet tooth may enjoy these. The Chocolate Covered Sea Salt Butterscotch Caramels were glossy rounds with a stiffer caramel and butterscotch flavor-infused filling. If you grew up with Butterscotch Lifesavers in childhood, you may recognize this butterscotch flavor. 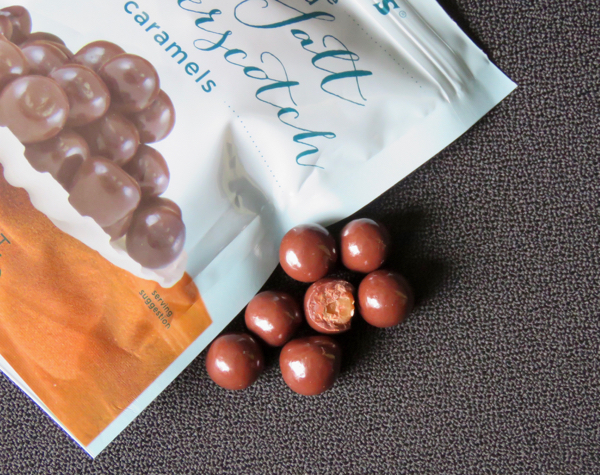 The (dark) chocolate to caramel ratio was a bit higher with these butterscotch caramels.